Detective Pikachu is more than a month away from hitting the theatres. But the live-action Pokemon venture is gaining hype by the day. Till now fan-reactions to the Poke Project have been good, to say the least. Since it has become quite popular, a set of new TV spots have gone live to promote the film even further! 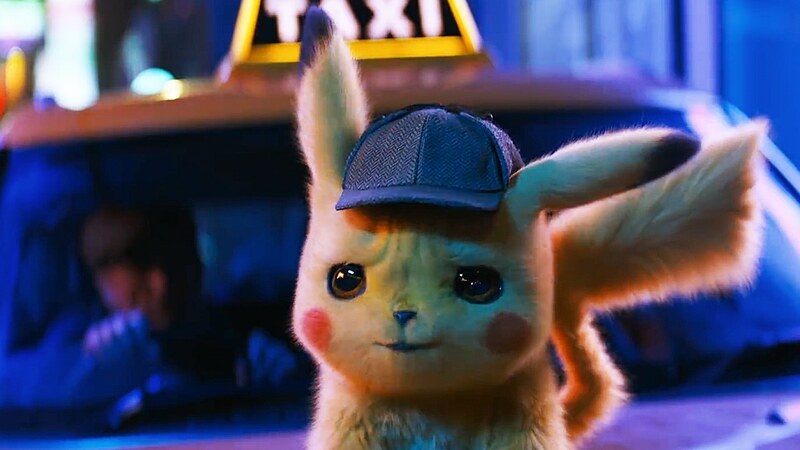 Yesterday Warner Bros. UK hit up the fans with an official upload of Detective Pikachu’s ‘Magic’ spot. The above clip shows off more of Pikachu with Tim Goodman. And, as expected, the iconic Pokemon makes a few hits at his newfound partner. We see Pikachu telling Tim that magic is the thing which brought them together. But that doesn’t mean they work smoothly as a pair. In one scene, Tim is seen crushing over a slew of clues pieced together by Pikachu. Naturally, our detective is not too happy with this. Immediately after the first spot, a second TV spot was made public by Warner Bros. UK on Youtube. This time, the ‘Find Out’ reel pointed on Tim’s partnership with Lucy. Lucy is the film’s female lead who has her own Psyduck. The trio is seen grabbing some food. This happens when Lucy tells the group that Tim’s father was onto a big story before he suddenly disappeared. This immediately prompts the group to team up. But Tim has to make things awkward when he butchers his words around Lucy (much to Pikachu’s delight). Are you excited about this upcoming Pokemon blockbuster? Let us know in the comments below.